Fight the fear that holds you back. The power of forgiveness can set you free. Live by the Laws of Light to reveal the best version of yourself. Live your best life by working through your goals and your dreams will be fulfilled. Can the power of a wish change your life? Greet each day as if it has already happened. Trust yourself; the universe is waiting to deliver if you just ask. If thoughts have mass, wishes have power. Quantum physics makes them come true. Listen to your inner voice. It is trying to make you believe. Gratitude can save your life. As I work at the final stages of pulling together my publicity campaign, I am thrilled at the prospect of sharing myself through my book. I have to be careful not to give too much of myself away and spread myself too thin. Like the locket in the story, we can keep a talisman close to our hearts to help us remember to be kind to ourselves. It can be anything to trigger the reminder. A piece of jewellery, a favourite piece of clothing or even a scented cream. Through the day, it’s a good thing to stop and take a moment to honour our health, our gifts and our lives. 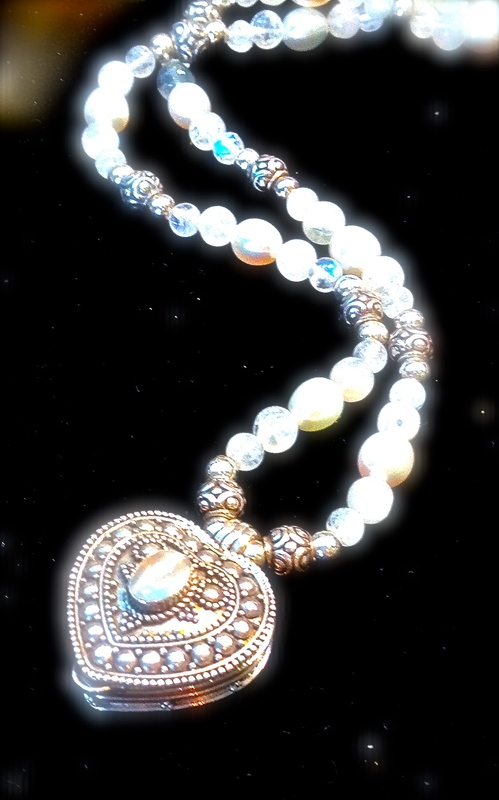 Queen Rose paused and slowly presented her daughter with a finely tooled, heart-shaped locket held on a delicate necklace of shimmering pearls and crystals. Princess Amethyst tenderly opened it to find bits of purple, pink and white crystals sparkling inside. “This is a piece of yourself so you do not give it all away,” her mother said.